Will Crowd Sourcing Change How You Find Healthcare Jobs? Home Healthcare Will Crowdsourcing Change How You Find Healthcare Jobs? The healthcare industry is thriving. In fact, not only is it one of the best industries for jobs today, its expected growth makes it the most significant source of future careers as well. As we wrote in our article on the best jobs for the future, the combination of longer life spans, advances in healthcare, and an increase in aging populations are strong indicators for a healthcare jobs boom. In the past, jobs were announced via ads in papers or online through sites such as Monster. Employers would post available jobs and then have to wait for the right candidates to apply. Their other option would be for employers to contact a recruiting agency to help match jobs with qualified job seekers. Technology changed that process. Companies began using social media platforms like LinkedIn or Facebook to connect with potential employees and reengage the right candidates. Though the format has changed slightly, it still requires posting a job and potentially working with recruiting agencies. For those seeking a healthcare job the process meant searching through these job boards or connecting with recruiters. Now there is an even better, more powerful option for both employers and job seekers. Crowdsourcing changes the job filling process by utilizing people’s individual networks to help promote job openings and get applicants. No one knows the industry and candidates better than the people already working in healthcare. With crowdsourcing, a nurse may see a job opening and determine it’s not the right fit for her, but a perfect fit for a friend. Instead of just telling her friend about the job, she refers him to the job via the crowdsource platform. If he lands the job, she gets a nice commission for “recruiting” the candidate. 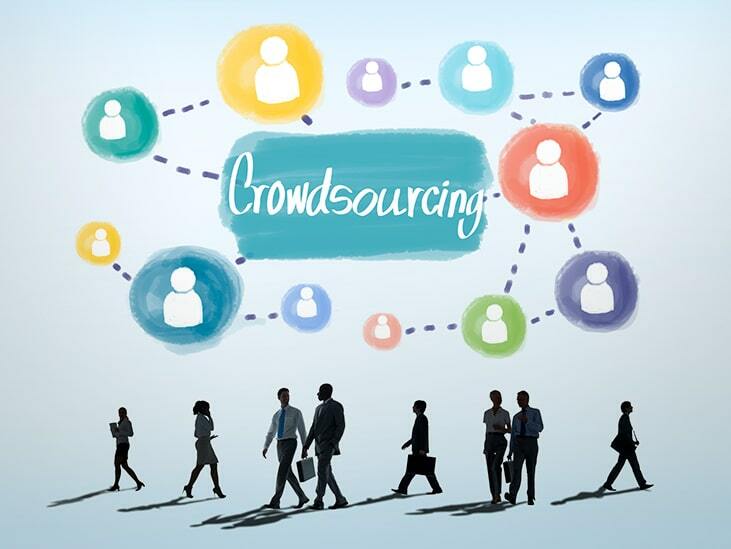 Professional recruiters use these platforms to enhance or even build their businesses and industry professionals can use crowdsourcing to earn additional income. It is efficient, easy, & there are no strings attached. Like a referral, there is a deeper level of trust that the job will be high quality when it comes from a trusted source like a friend, colleague, or industry insider. Will Crowdsourcing Influence Decision Making? Because crowdsourcing is still a newer concept, there is not enough data to prove these candidates get a higher percentage of callbacks. However, there is a strong chance that these candidates will have more credibility on the eyes of a hiring manager as the crowdsourcing jobs are opportunities for both experience and exposure. Employees who are referred to a position also tend to enjoy the job better and stay longer. According to UndercoverRecruiter.com, “referral hires have greater job satisfaction and stay longer at companies – 46% stay over 1 year, 45% over 2 years and 47% over 3 years.” That number looks even more impressive when compared with job boards, where less than 15% stay for over 3 years. With the continued boom in healthcare jobs, companies are racing to find top talent. The demand for skilled workers is rising and healthcare systems are constantly working against shortages. In a recent study from the Bureau of Labor Statistics, it is estimated that healthcare jobs alone will make up approximately one-third of the job market by 2026. The good news for this fast-growing sector is that there are a wide array of opportunities. This doesn’t apply only to physicians and nurses, as there are multiple entry points into the healthcare industry. Support roles such as IT, home health aides and administrative staff will also continue to grow. There are ample career opportunities both now and ahead for those seeking them. Crowdsourcing may just change where and how those new jobs are filled.